(This will be available later in 2019. If you wish to order and would like to pay a 30% deposit when you order and the balance when it's completed, I can set up an Etsy Private Listing for you. Inquire). 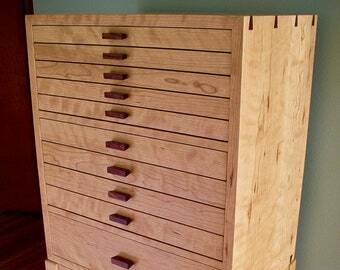 Excellent, densely figured surly sugar maple with rosewood accents. 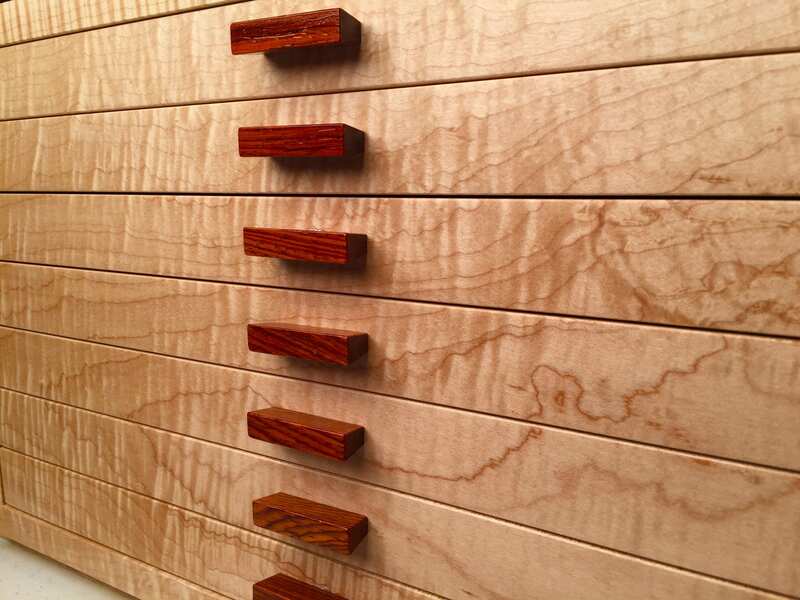 Solid hardwood, handmade jewelry box. This design has been improved and refined since the early 1990s, and has found happy homes throughout the world. 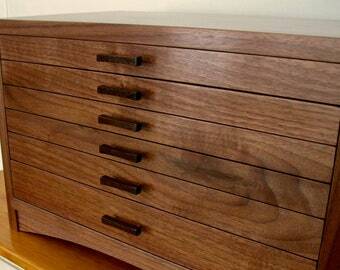 With seven small drawers, it is roomy enough to accommodate decades of earrings, rings, and bracelet acquisitions.